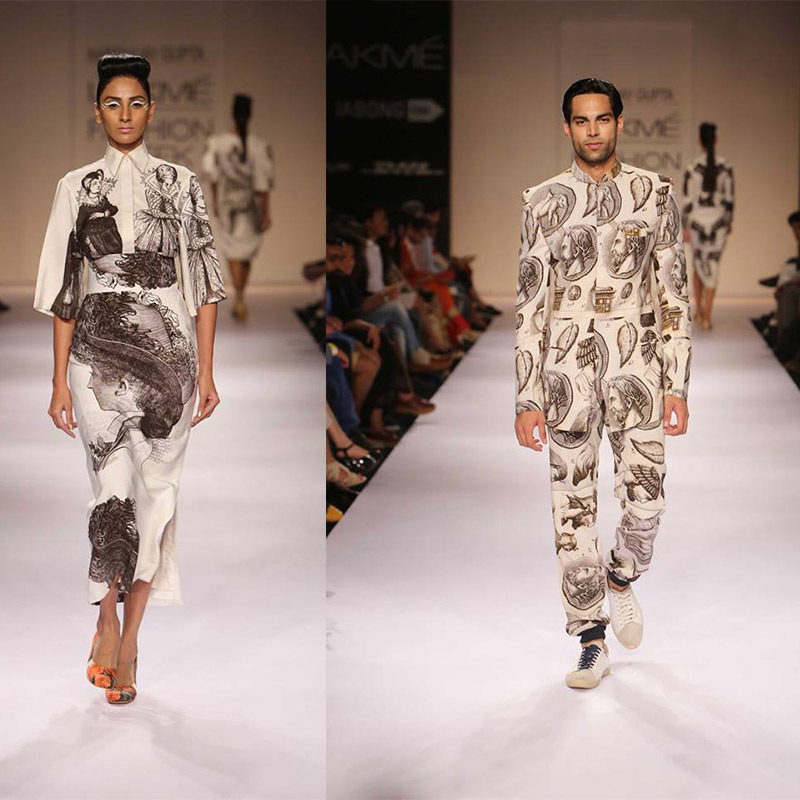 Click on any of the images below to view gallery. 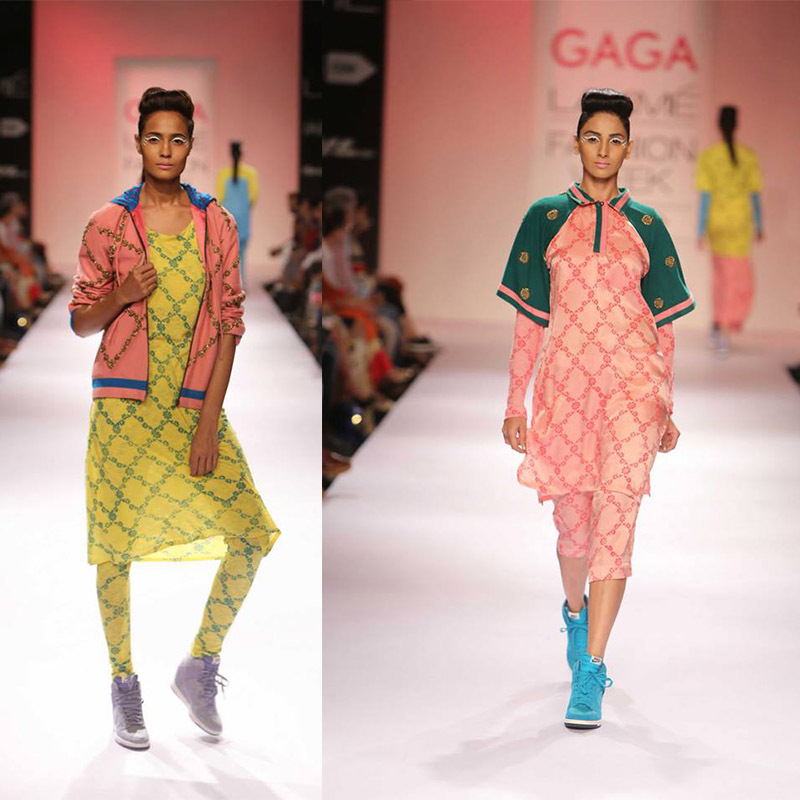 The quirk-infested day began with Shubhika Davda’s label ‘Papa Don’t Preach’ creating a stir on the ramp with her high-on-glamour concepts. The snow shoes came with a fan that had confetti fluttering all over the place, taking fashion to the next level. 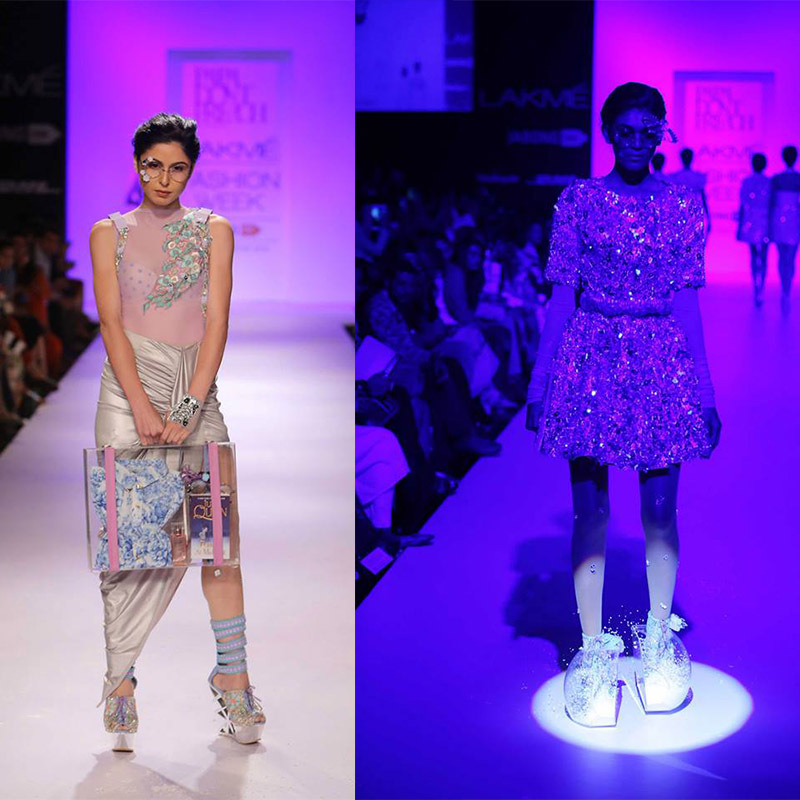 Ragini Ahuja showcased an avant-garde collection combining metallic stripes and floral patterns. 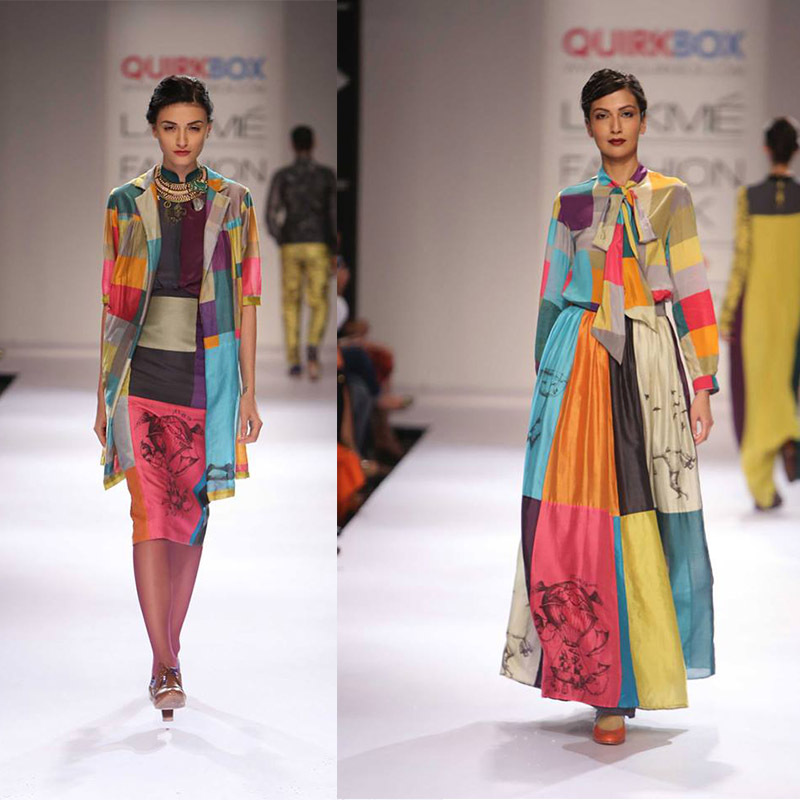 Pen and ink drawings featuring the images of Bombay stood out in Rixi Bhatia and Jayesh Sachdev’s collection for Quirk Box. 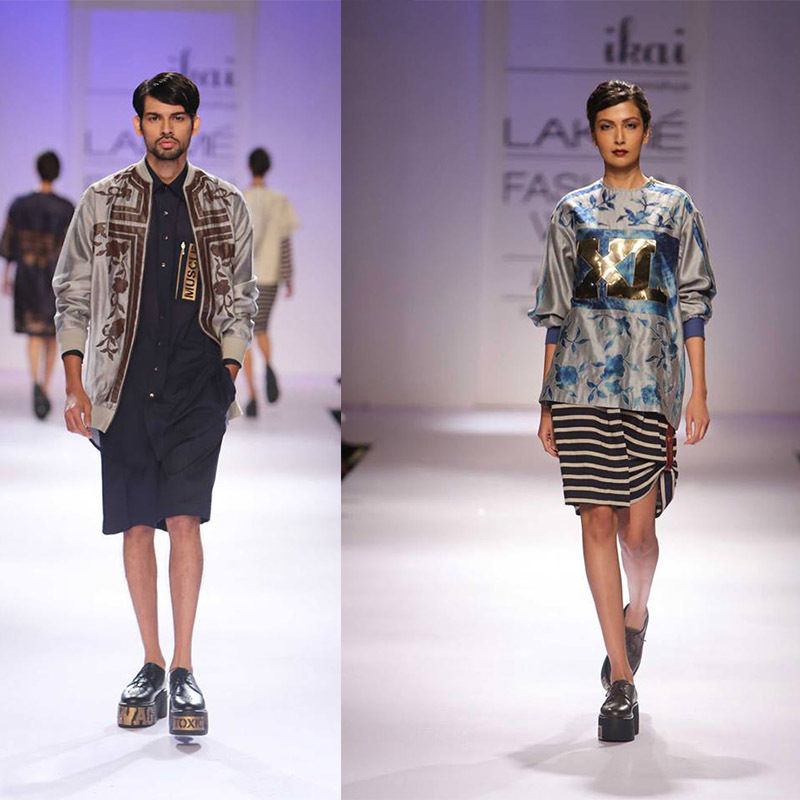 Aarti Vijaygupta’s clever use of old-fashioned prints, Tanya Sharma’s perfect blend of sporty and glam, and Ilk’s strategic placement of the holding hands motif conjured a brave and nouveau take on fashion. 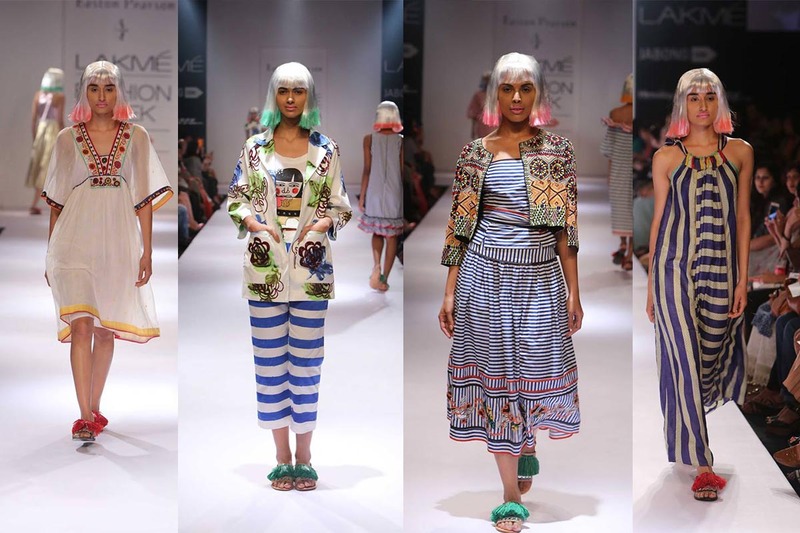 Playing on quirky glamour, colour, tradition and craft, Easton Pearson showcased their ‘Bepop’ collection that had models in white wigs edged with pinks, greens and blues. 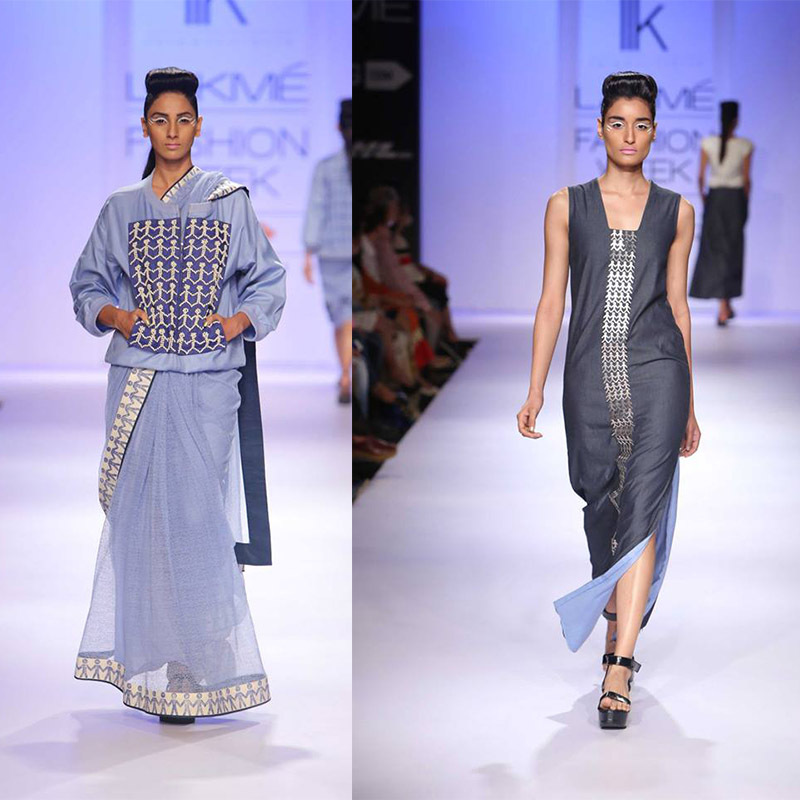 Long swirling skirts, flouncy dresses and raffa-tassled sandals amped up the style quotient. 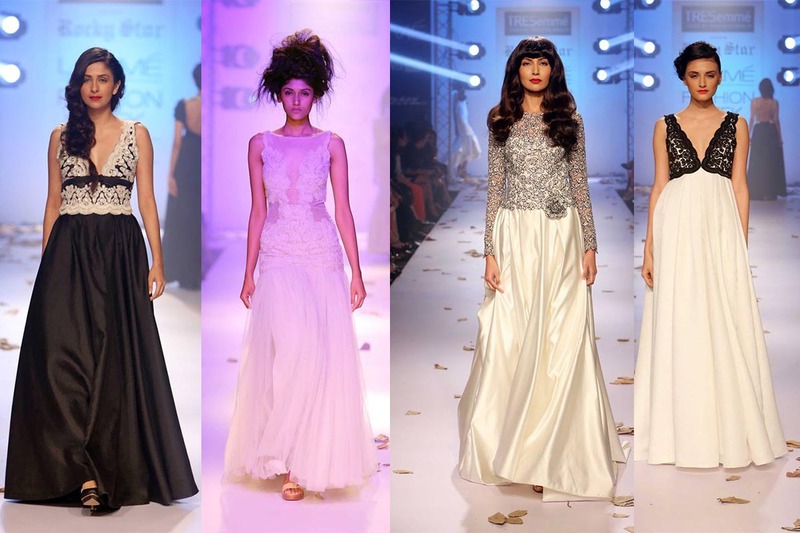 Rocky S, known for his ultra-glam evening gowns teamed up with TRESémme to create a vintage 1920’s-inspired collection in shades of white, black and grey. The dance of strobe lights, dry and ruffled leaves and flapper gowns left us with an old-world feel. 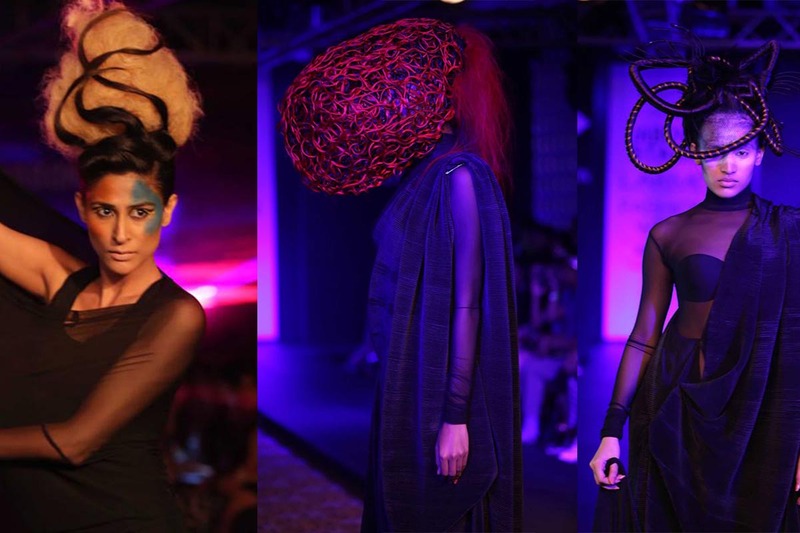 On the other end, Little Shilpa – mistress of outrageous head gears – added oodles of drama to the ‘Hair Stopping Show’ by Lakmé Salon. Intertwined hairstyles, caged-like headgears and spunky updos drove fashion to the edge. 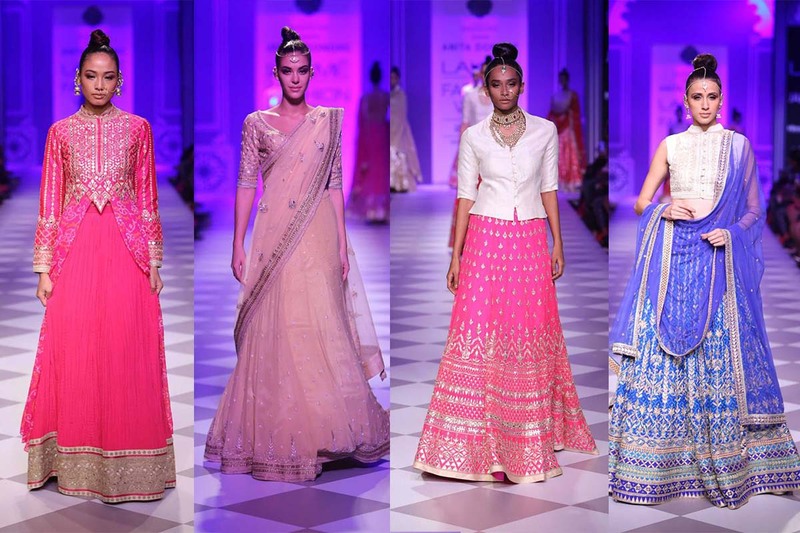 In a bid to tone down the high-octane levels, Anita Dongre showcased a pleasant collection featuring a quartet of orange, blue, red and beige panelled lehengas, ecru jackets teamed with raani pink, red and fuchsia skirts – an ideal collection for a modern Indian bride. Missed out on our previous posts? Check out the opening show, Day 1 and Day 2. Stay tuned with Day 4. Don’t miss our backstage and exclusive videos here. Verve goes behind the scenes and gets stills from the backstage action here: Day 1,Day 2, Day 3 and Day 4.